In case you want to automatically order cancel in the backend, Magento 2 Auto Cancel Order extension offers the best solution for admin. As you know, the default of Magento does not allow customers to cancel orders from the frontend, which causes some inconvenience for them when shopping, hence, our Frontend Cancel Order for Magento 2 module totally completes this missing feature of Magento. The extension is developed to help customers cancel their orders with Pending status from My Account dashboard and My Order page in the frontend. In addition, order status will be changed from Pending to Canceled and the number of items will be restocked. 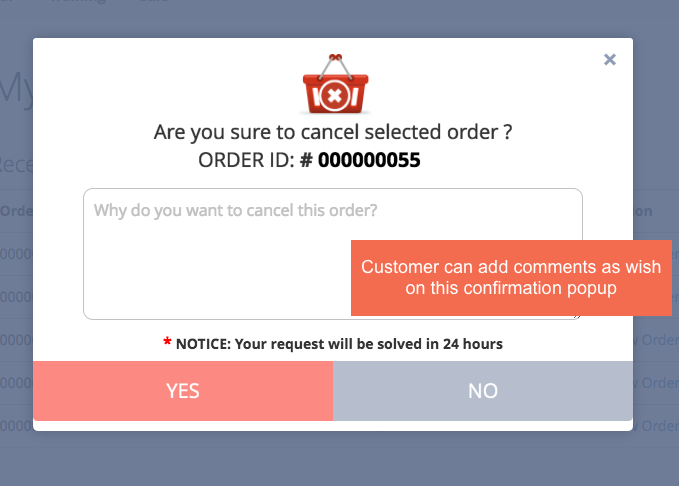 When customers click Cancel Order button, there will be a confirmation popup for customers and they can add comments as wish on that popup. This comment is also displayed in the order details in the backend. After each order has been canceled, admins will be notified by an update email. With Frontend Cancel Order for Magento 2, store owners can set up which email will be Email Sender, which one will be Email Receiver from the admin panel. 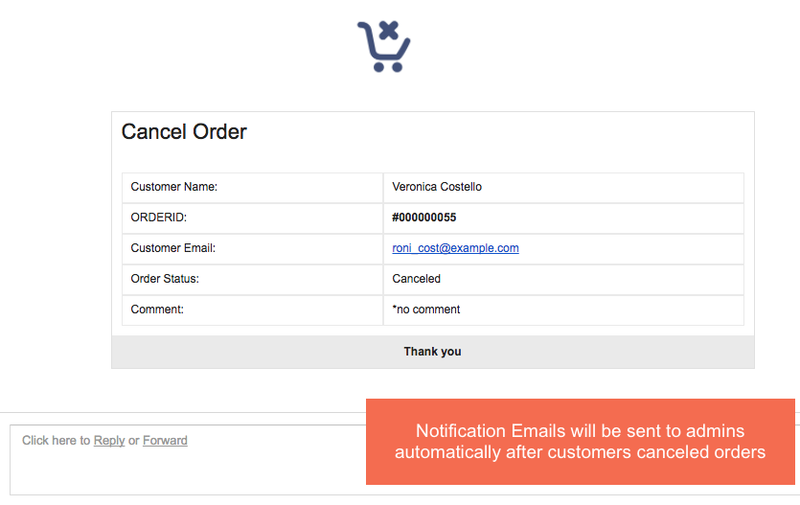 Moreover, online shop owner enables to configure Notification Email Templates for cancelling orders. The extension supports admins to change the label for Cancel Order button. Besides, Notice notes in the confirm popup can be customized as admin wants. Why Frontend Cancel Order for Magento 2 is a must-have extension? Cancelling orders is one of the necessary issues for online shopping. Obviously, customers sometimes will want to cancel their orders due to many reasons, and as a store owners, you need to provide this function for your customers on your site. Therefore, to solve aforementioned issue, BSSCommerce developed Frontend Cancel Order for Magento 2. With this extension, online buyers can cancel orders more conveniently than before. They just need to login and go to My Account dashboard or My Order to cancel the unwanted orders. This will definitely enhance customer shopping experience. When each order has been canceled, there will be automatically an update email sent to notify admins, so that admin can easily know and manage. Moreover, with various setup emails features: Email Sender, Email Receiver and Email Template, store owners can totally control canceled orders, easily differentiate these kinds of orders from others. Frontend Cancel Order for Magento 2 provides fully customizable interface of the extension from backend that is easily installed, configured and managed. It will definitely bring new experience in managing a module for admin. Deserve to be a must-have extension for all Magento site. Online customers usually cancel orders so this extension is totally essential for an online store. It is also cheap for a great product. I am really very glad with the kind of support I received from BSSCommerce Support Team. This extension essential for any website owner who wants to make his Magento site become more convenient and enhance user experience. Everything works fine, you can buy this extension without hesitation and be assured that you will be satisfied.